Pacific Life brings over 149 years of experience to you with its excellent products and services. In fact, we think so highly of Pacific Life that it makes our honorable mention list in our top 10 best life insurance companies article. In this Pacific Life review we will examine the company’s history, strong ratings, products and services, life insurance policies, and the additional features offered. When searching for the top rated cash value life insurance companies it helps to get acquainted with the different carriers in the industry before you finalize your decision on which company to choose. The team at I&E craft these life insurance reviews to cover the top dividend paying whole life insurance and indexed universal life insurance. 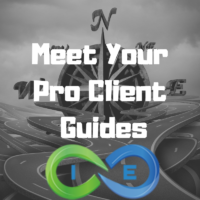 Our primary goal is to give you the knowledge, insight and professional service required to help you safely navigate your way to the right company and policy for your specific needs, goals and objectives. Pacific Life is part of Pacific Mutual Holding Company (Pacific Mutual). The company has been in operation since 1868. Policyholders of Pacific Life Insurance Company are members of Pacific Mutual. Despite its parent company maintaining a mutual holding company structure, Pacific Life Insurance Company is a stock life insurance company. Although our new structure allows us access to capital funding if needed, Pacific Life currently has no publicly traded stock and no outside investors. The company is operated for the benefit of our policyowners and clients, so we can and do take a long-term view in our strategies and investments. Our policyowners are all members of Pacific Mutual Holding Company, which ultimately owns and controls Pacific Life. Pacific Life is available in all states except New York. For New York residents, policies are offered through Pacific Life and Annuity, a subsidiary of Pacific Life Insurance Company. The company has life insurance in force of over $800 billion, with over $143 billion company assets. Pacific Life is a Fortune 500 company, ranking 302nd in 2016. The company’s headquarters are located in Newport Beach, CA, with offices around the globe. Pacific Life offers both term life and permanent life insurance. Pacific Life has a large array of cash value permanent coverage including universal life, indexed universal life and variable universal life. Although there are benefits to all types of coverage, and each policy has its place, in our opinion there is a clear advantage of cash value life insurance vs term life. Term life insurance offers an initially low premium, with fixed rates for the life of the term. Pacific Life offers 10, 15, 20 and 30-year term lengths. It offers annual renewable term to age 95 upon original term expiry. Pacific Life’s competitively priced convertible term life insurance includes the option to convert all or a portion of the policy to cash value life insurance prior to the end of the first 10 years, 5 years if the 10 year term was elected. The advantage of choosing term with a conversion option is that you can get affordable coverage while your income is lower, and then the option to convert that coverage to a superior policy down the road once your finances allow. Simplified underwriting is available for ages 18-60 on face amounts ranging from $100,000 to $249,999. Simplified underwriting includes the conversion option mentioned above. Both IUL and VUL policies offer permanent coverage, pay a death benefit, and accumulate cash value. With IUL policies, the cash value is applied to the policy’s fixed account, where it will earn interest based on what Pacific Life is currently offering. From there, you have the option of transferring from the fixed account to a combo of indexed accounts. The indexed accounts track the performance of major indexes, such as the S&P 500. The accounts are indexed to, but not invested in, the stock market. With VUL policies, the cash value is also applied to the policy’s fixed account, but you can also choose from many variable investment options, much like mutual funds. The VUL variable accounts are directly participating in the stock market. With IUL policies you are insulated from market volatility thanks to a floor and a cap. The floor is the lowest your account can be credited, typically around 0-2% depending on which account the money is in. The cap is the maximum you can gain, typically around 12-14%. With VUL policies, there is no maximum floor or cap. Your cash value account will increase (or decrease) in step with the variable accounts you participate in. For our Pacific Life Insurance Company review we will focus our attention on the company’s indexed cash value accumulation product called the Pacific Indexed Accumulator 5. Pacific Indexed Accumulator (IUL) is designed for high cash value growth, rather than the death benefit protection. If you pay the Short Term No-Lapse Guarantee Premiums stated in your policy then the no-lapse protection that comes with the policy will prevent a policy lapse from 4 to 20 years depending on your age at issue. You can extend your no-lapse guarantee with the additional no lapse guarantee rider. Option C: death benefit plus return of premium, less any policy withdrawals. Every sound wealth preservation strategy should at least weigh the pros and cons of long term care insurance. If you suffer from deteriorating health, including diminished cognitive ability or being unable to accomplish 2 of 6 activities of daily living (ADLs), a long term care insurance policy would help provide relief from the costs of long term care. Certain companies offer long term care insurance as part of a life insurance policy. The advantage is you get a life insurance policy, with all the benefit of cash value life insurance, that also provides LTC benefits. These hybrid LTC+LIFE combination policies are only offered by a handful of the best long term care insurance companies. One such company is Pacific Life. The elimination period for in home care is zero days. For care in a facility, the required elimination period is 90 days. Due to the rising costs of long term care, an inflation protection rider is recommended. You can choose from no inflation protection rider or 3% or 5% simple inflation growth or 5% compound inflation growth. If you are considering adding your spouse to your policy, you can get a spousal discount when both you and your spouse elect long term care insurance coverage. Interest to see how Pacific Life stacks up to the competition? We can help you with your long term care life insurance planning. Simply reach out to us by phone or email to get started. Tax free life insurance loans are available from the carrier by using your cash value as collateral. IRC 7702 cash value life insurance. This section of the Code allows your cash value to grow tax deferred. And if you utilize the policy correctly, using loans and avoiding coverage lapses or surrenders, you will never need to pay taxes on the cash value growth. Your beneficiary receives the death benefit income tax free. However, one way a death benefit is taxed is if your estate exceeds the federal estate tax exemption limit. If you have a large estate, careful asset protection planning is necessary. Children’s Term Rider – add life insurance for children to your policy. Terminal Illness Rider – allows access to a portion of your death benefit if you have a life expectancy of 12 months or less due to illness. Waiver of Premium Rider – premium is waived if you become totally disabled before age 65. If disability occurs before age 60 premium is waived for the life of the policy. If disability occurs after age 60, premium waived for the length of the disability to age 65, or two years if longer. Guaranteed Insurability Rider – guarantees the addition of more coverage at certain ages and life events with no evidence of insurability. As you can see, Pacific Life is a superior company, offering top cash value policies. We are big fans of the company and recommend it as a great option to choose from in the life insurance marketplace. Is Pacific Life the right company for you? But without speaking to you and discovering your goals, needs, and objectives we cannot say which company will best suit your needs. Do you have questions or would you like to see an illustration of Pacific Life or any of the other top cash value life insurance companies we represent?